Zenfone AR (ZS571KL) in Canada – We have details! Aha, you want to know when it’s going to be available to buy in Canada. If it’s okay, can we still dig that detail up? The actual day of availability is still up in the air, but we know most everything else! Price is set to be $899 CAD, although some retailers may bump up that price slightly. We’ve seen that in the past, but expect only a slight variance from that price. 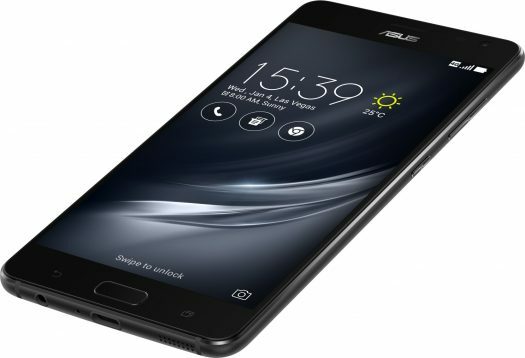 The Canadian variant of the Zenfone AR is going to come with 6GB RAM (not 8GB that other regions have) and it will have 64GB storage (not 128GB that other regions have). That’s the bad news, if you want to even call it that. See, it’s a balancing act. I’m sure Asus could have put the 8GB of RAM in there but the cost would cause public outrage most likely. If that 128GB storage was also included, the same deal. People would be upset at the price. We are hoping to get even more details which includes the all important pre order or shipping date. I’m also sure a lot of you want to know the LTE bands and whether it’s compatible with Freedom Mobile (Wind Mobile) and their LTE band 66. So for now, this should give you something to think about. Just purely as a phone, without the Tango and Daydream benefits, the Zenfone AR is quite the beast. The AMOLED display is well worth the price of admission and consider this is 1440P and not just 1080P. We expect the typical retail partners in Canada which include NCIX, Best Buy, Canada Computers, Memory Depot, and others. Stay tuned, we will update as we learn more! Well, I’m sad to see we’re getting a 6 GB version, but glad to finally see some news at least. Half way through July here, I was starting to think we’d be seeing it much later than expected.